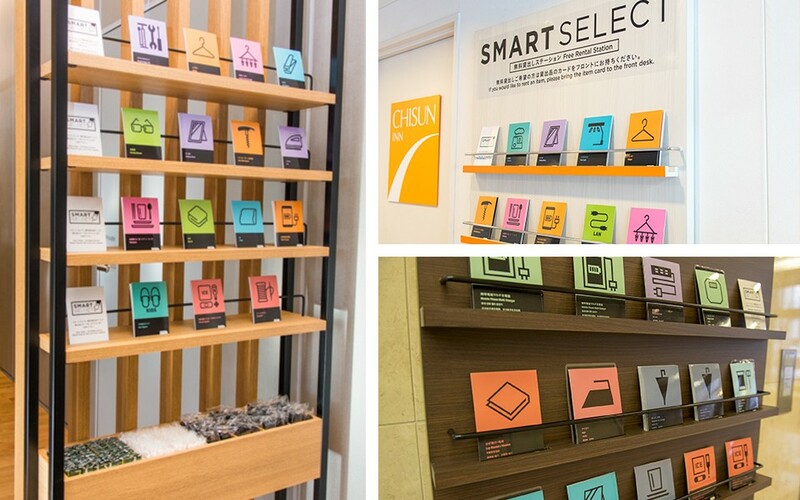 The Smart Select style lets guests select their preferred amenities at the station. For rentable items, guests take a picture card of their desired item to the reception desk. We hope you enjoy freely selecting combinations of your choice. Certain amenities are normally available in the hotel rooms. Guests may freely select and request additional amenities at the station. Photos are for illustrative purpose only. Picture cards have been prepared for each rentable item. Please select the items you need.